FIBA has released an updated 3-person mechanics manual. 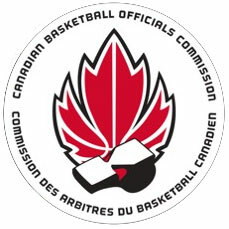 Please click this link and review the updated mechanics - 2016 FIBA 3-person officiating - Basic. FIBA has also introduced a signal and clarified the protocol for faking a foul. Please review the attached file. Click on this link - FIBA Americas Articles - to access the FIBA Americas Articles page for more details. There are also Interpretations for Shot clock situations near the end of a period in the attached file. As well, below please find some clarifications on FAQs (file #1 below) around the updated mechanics reviewed at our preseason clinics in 2015. Everything contained in the information attached and linked will be used at Summer Nationals. Please make sure you review carefully and work on anything new in your exhibition games leading up to Nationals. Finally, physical training is an important aspect of officiating. FIBA has a standard training manual outlining physical training for being ready for the season. Please take some time to review it and be sure you’re physically prepared to ref when the season arrives (file #2 below). Please direct any question on any of the content contained in these documents to Martha Bradbury, MABO Provincial Interpreter.